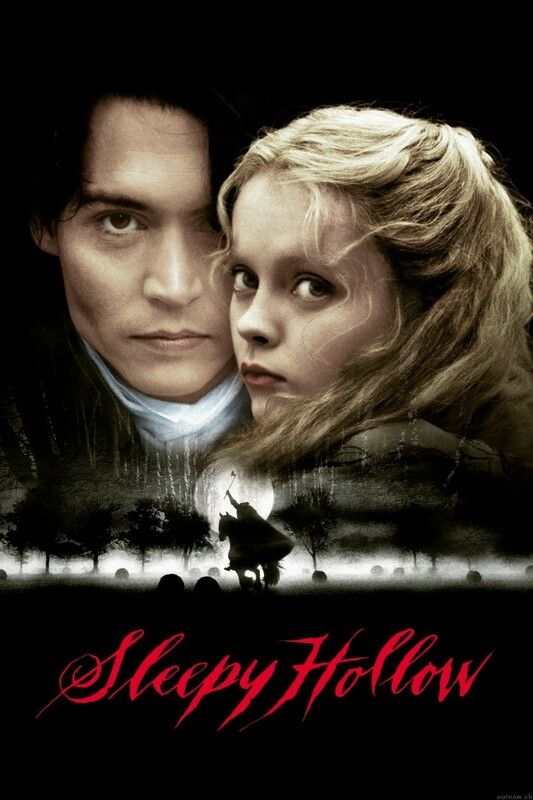 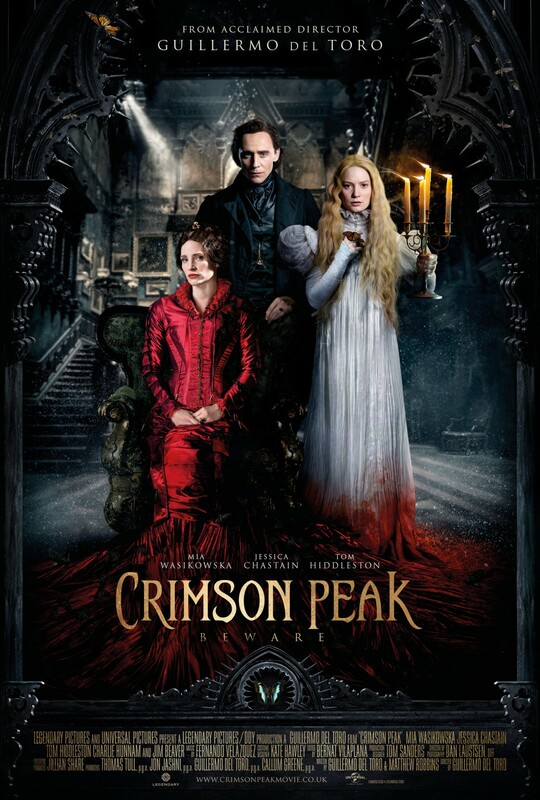 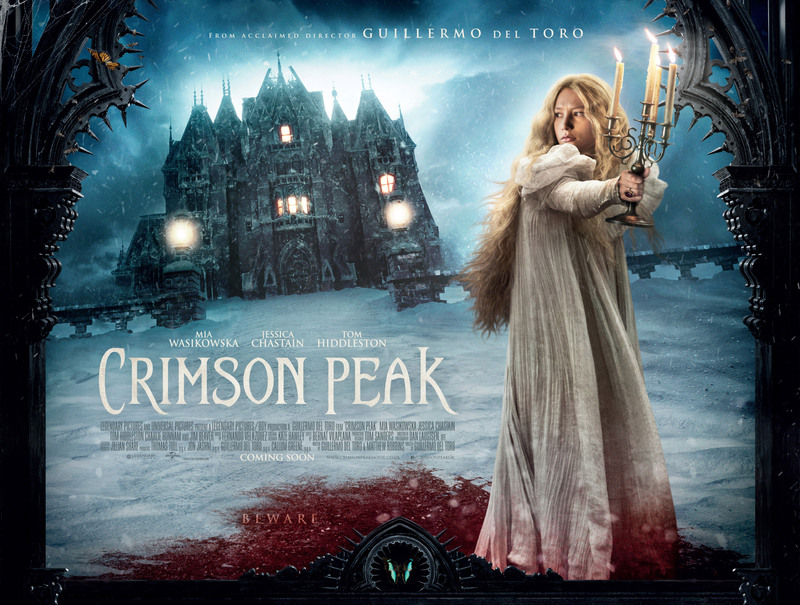 A dastardly count tries to control a young girl (and her siblings) for nefarious purposes, all under a wonderfully gloomy atmosphere. 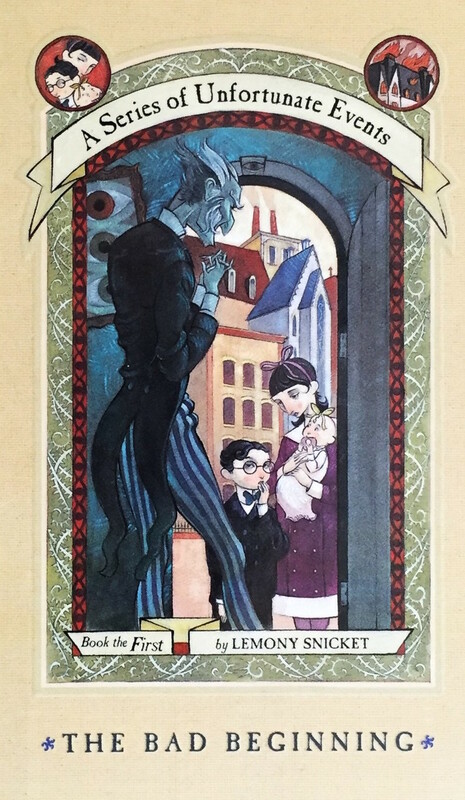 Lemony Snicket's 13-book series is classic gothic romance with a wicked sense of humor. 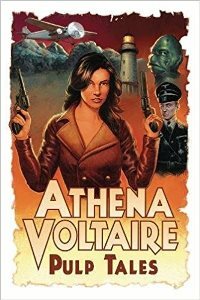 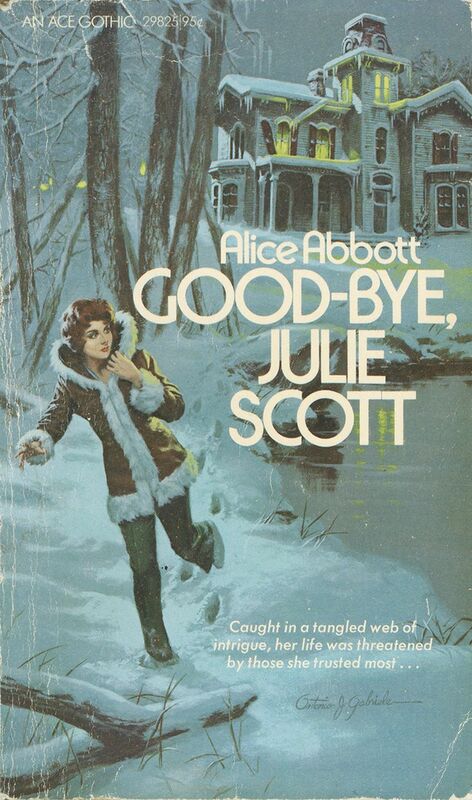 I haven't read the books, but I enjoyed the movie and was disappointed that it never spawned sequels. 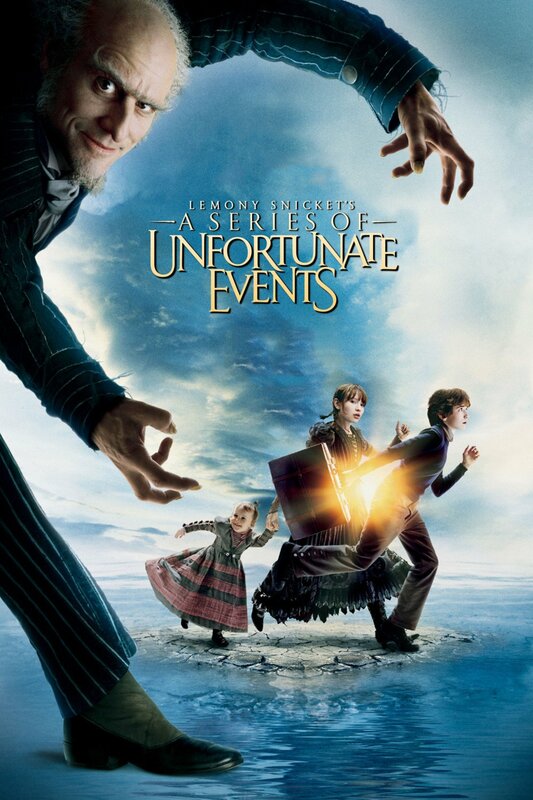 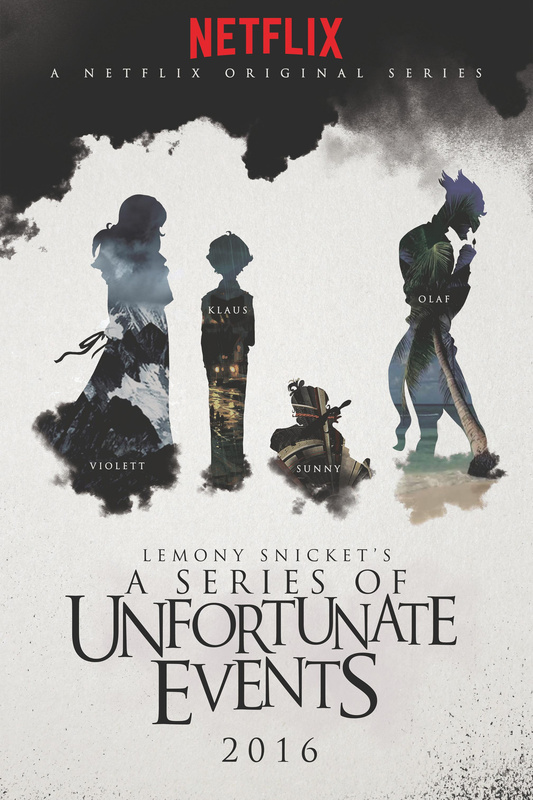 Fortunately (though Snicket would disagree), we have the Netflix series coming in January. 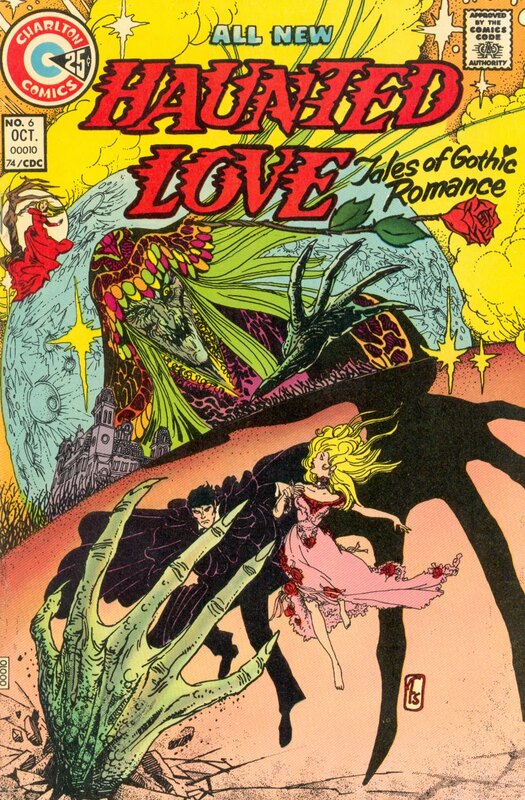 DC wasn't able to get a gothic romance series off the ground for more than a few issues, but their low-budget competitor Charlton Comics got almost a year's worth of issues out of theirs. 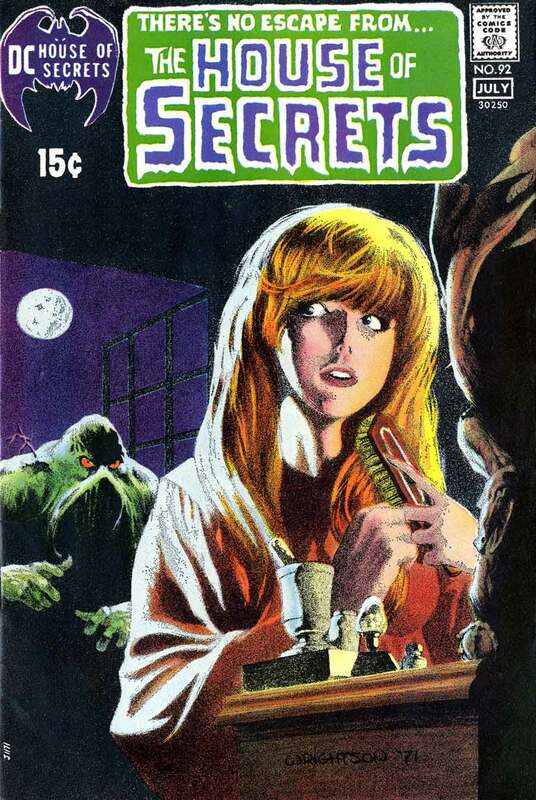 Interestingly, though, they did it in a couple of chunks. 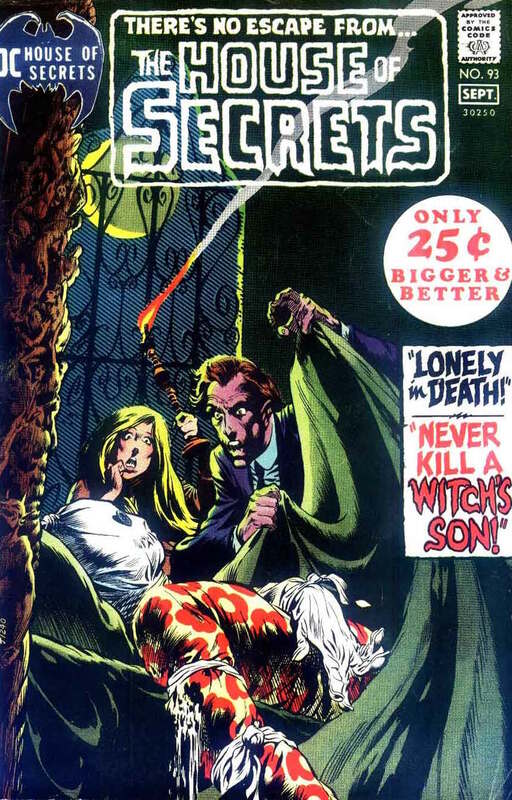 It launched in early 1973 as a bi-monthly series and lasted five issues until the end of the year. 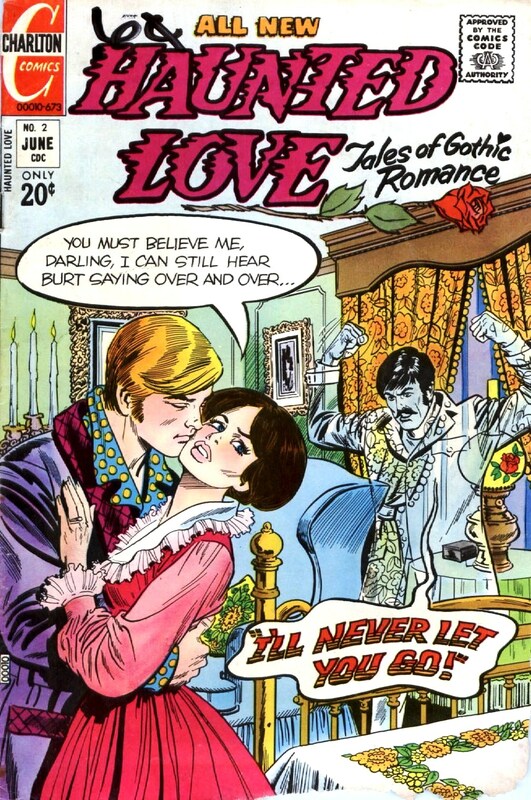 Then it went on hiatus for almost a year, picking up where it left off in late 1974 and going for another six issues. 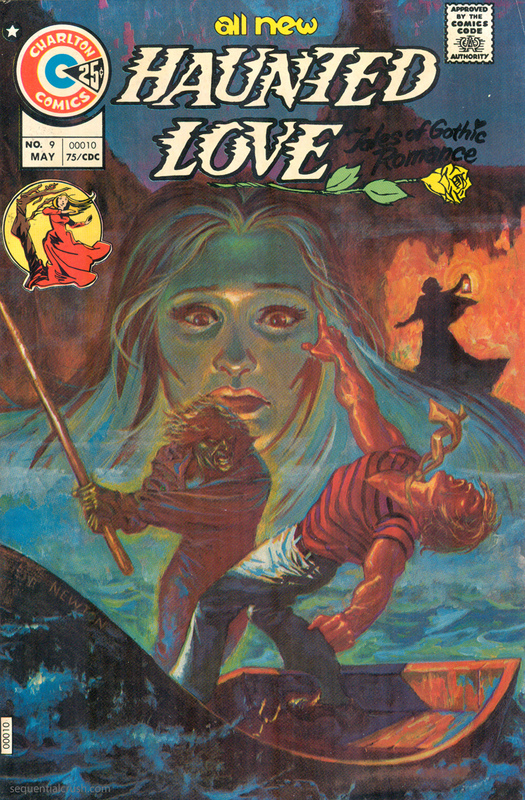 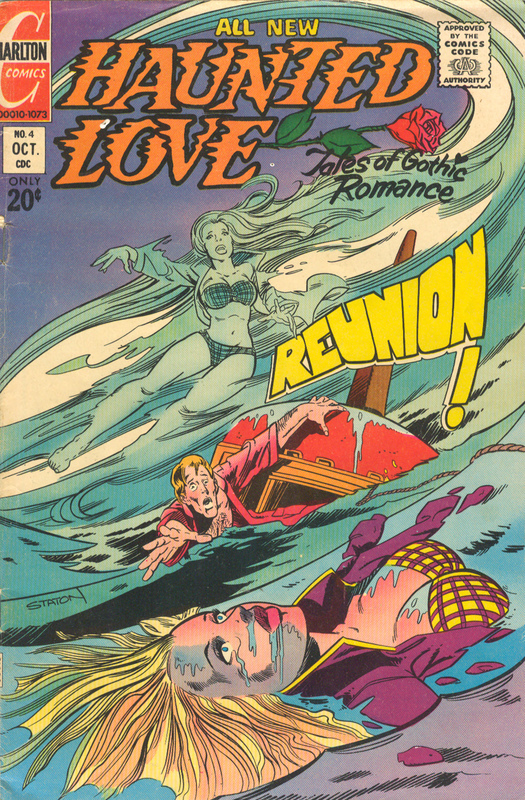 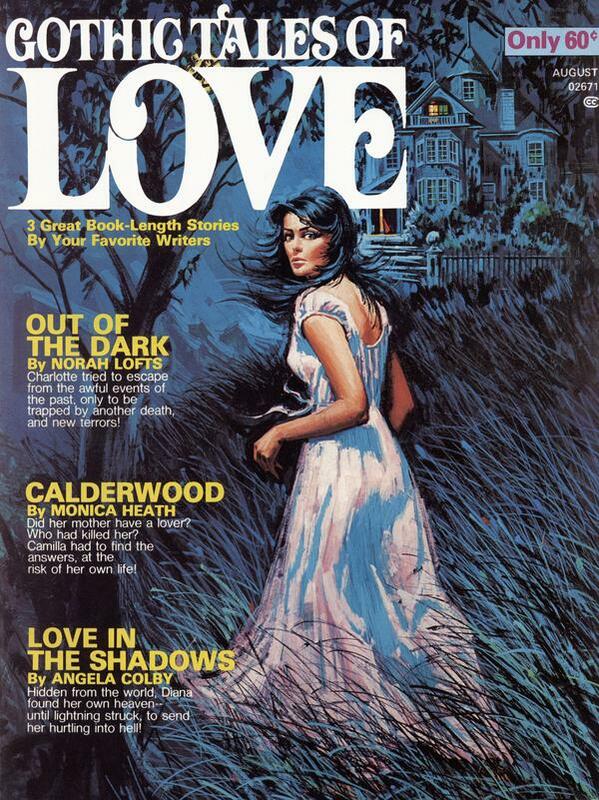 Like the DC efforts, Haunted Love was an anthology comic and included work by some comics legends. 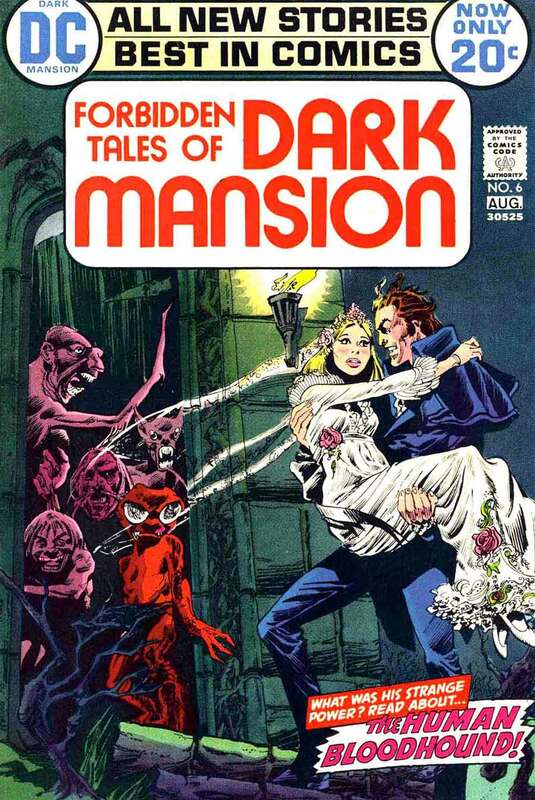 Joe Staton did a few stories and Steve Ditko drew a couple as well. 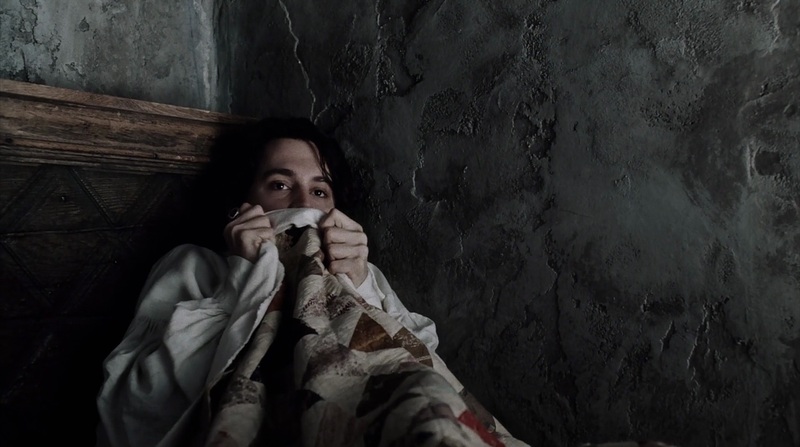 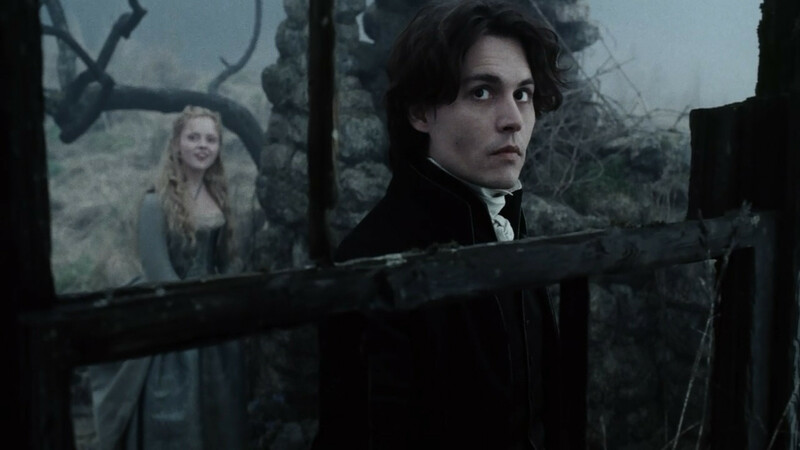 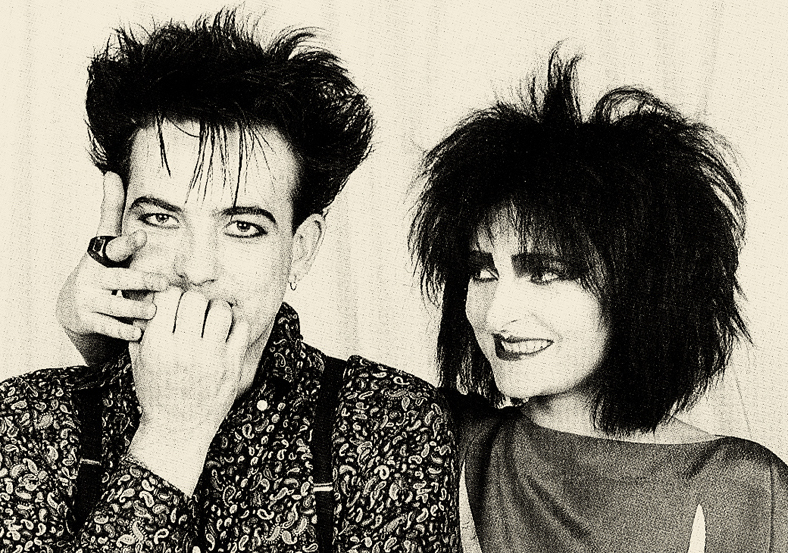 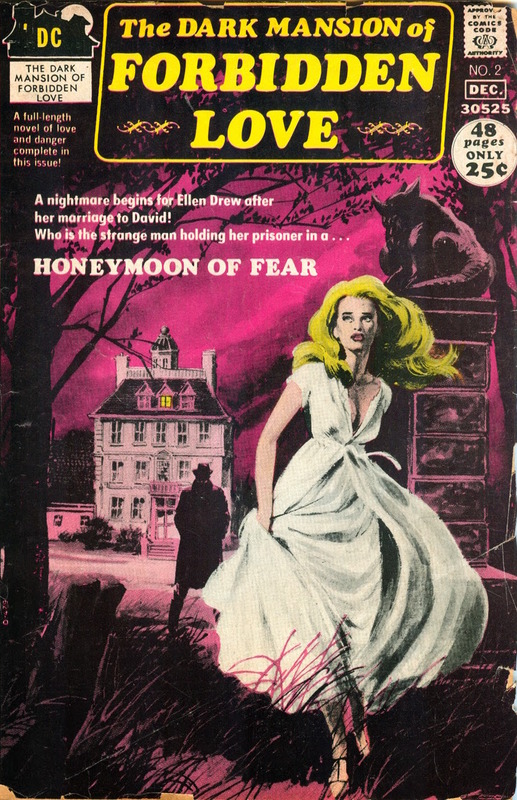 And also like Forbidden Mansion and Sinister House, Haunted Love expanded the definition of gothic romance to include any love story with a hair-raising, supernatural element. 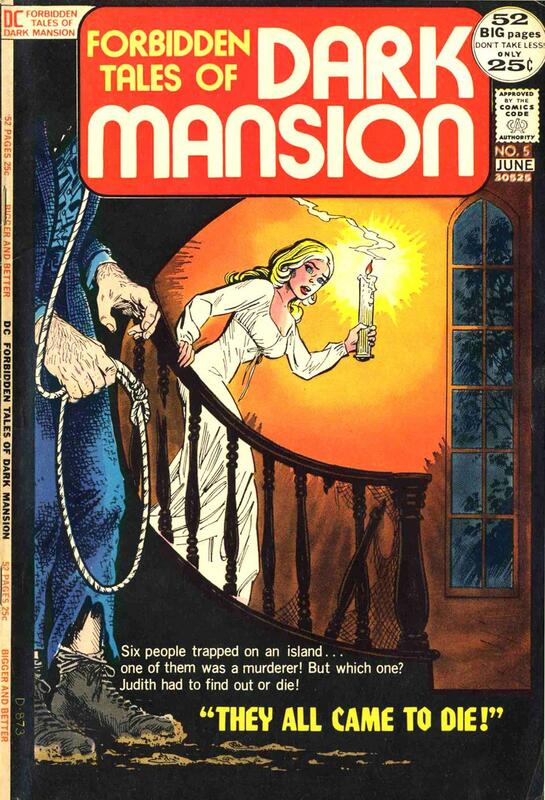 For a taste of the series, check out the Charlton Comics Reading Library. 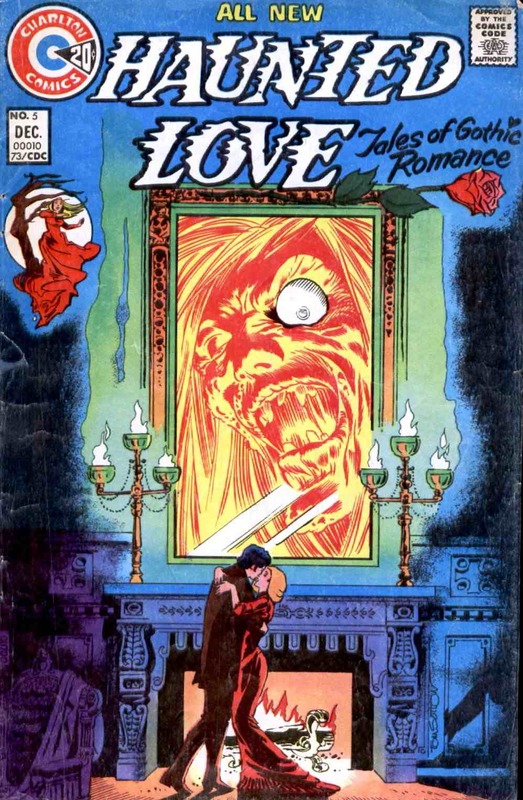 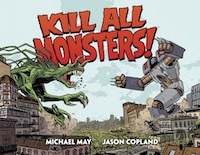 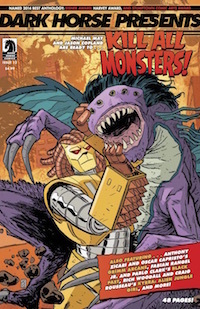 It has the whole first issue, written by Nicola Cuti and Tom Sutton, and drawn by Joe Staton and Tom Sutton. 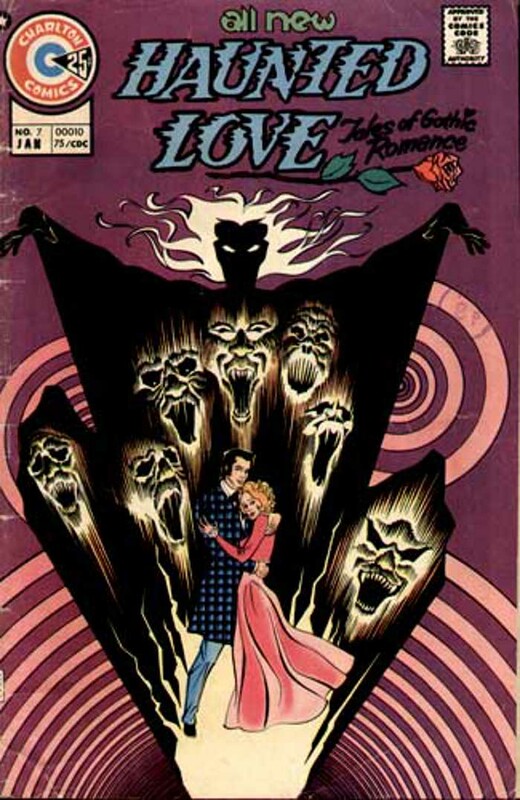 About a month after the debut of Dark Mansion of Forbidden Love, DC launched a companion series called The Sinister House of Secret Love. 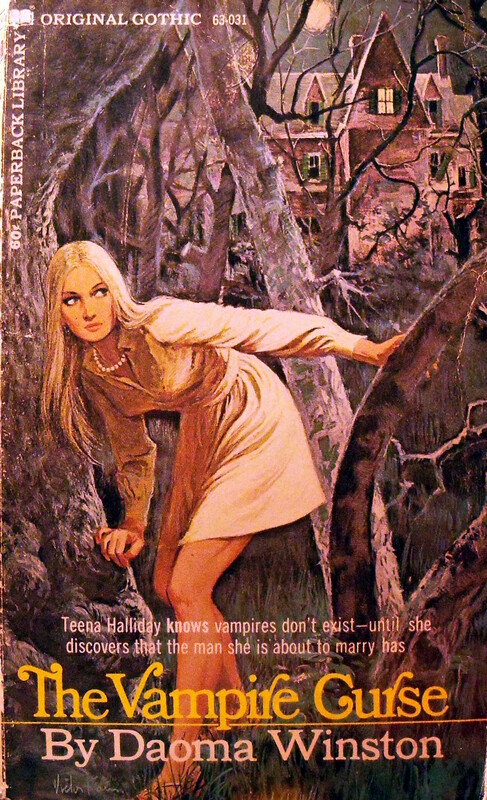 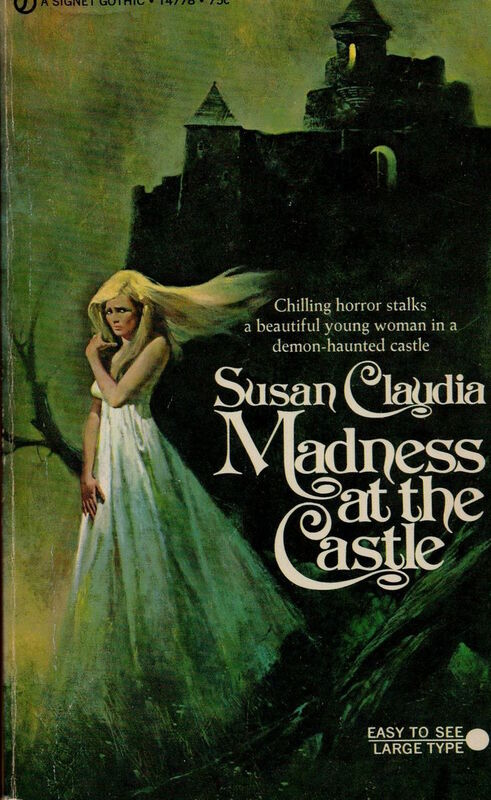 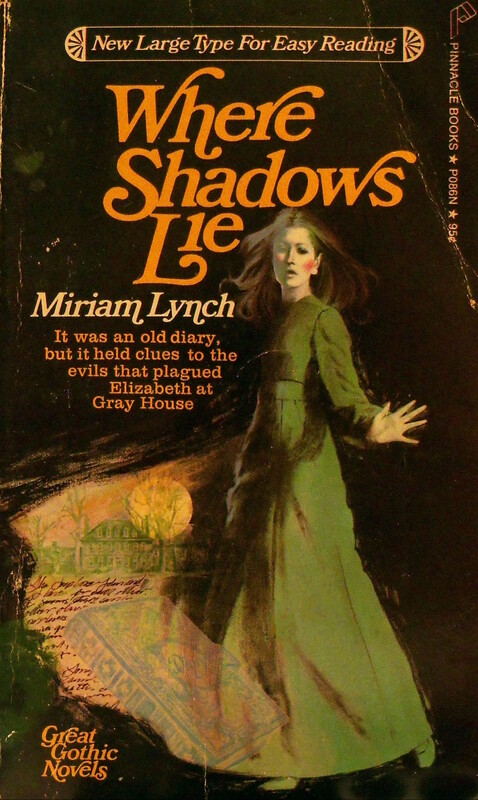 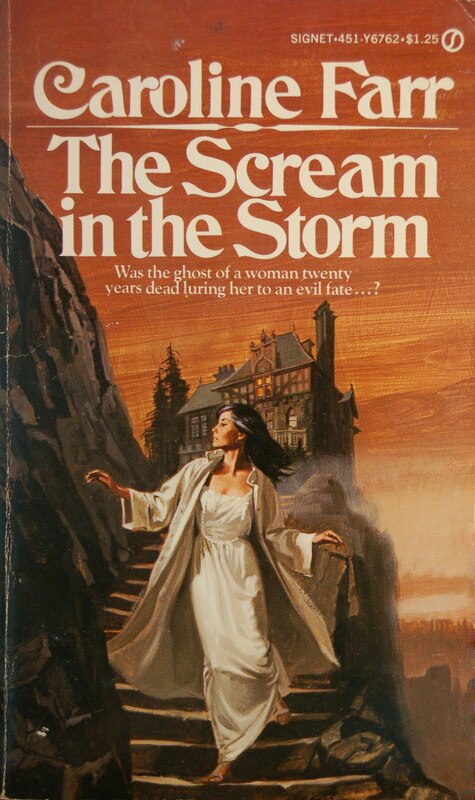 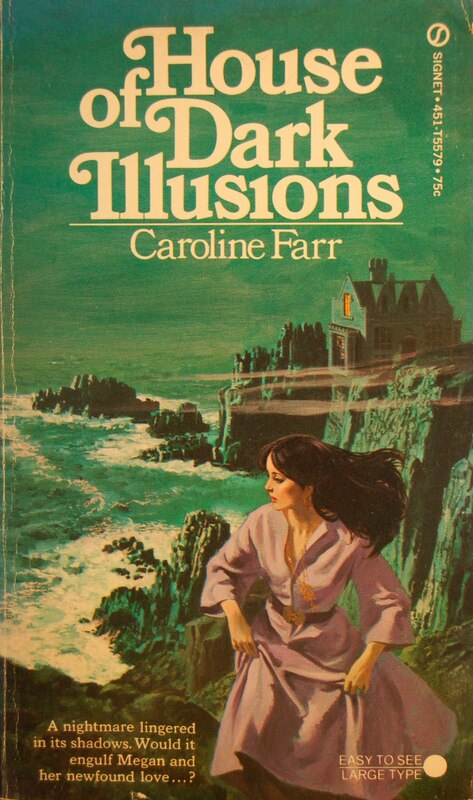 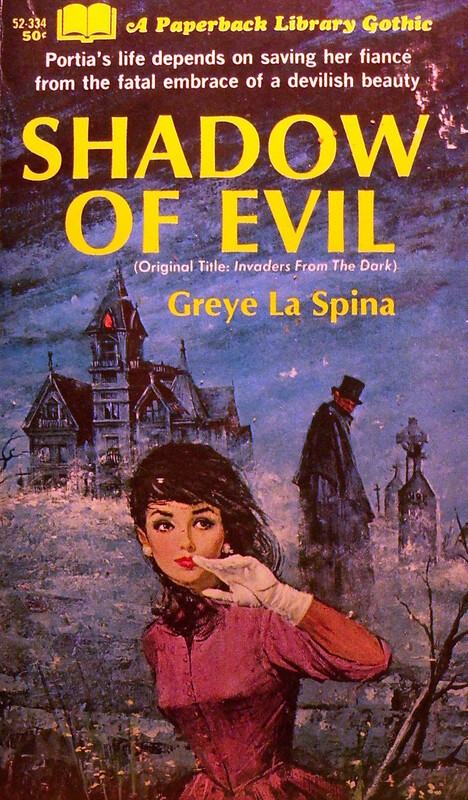 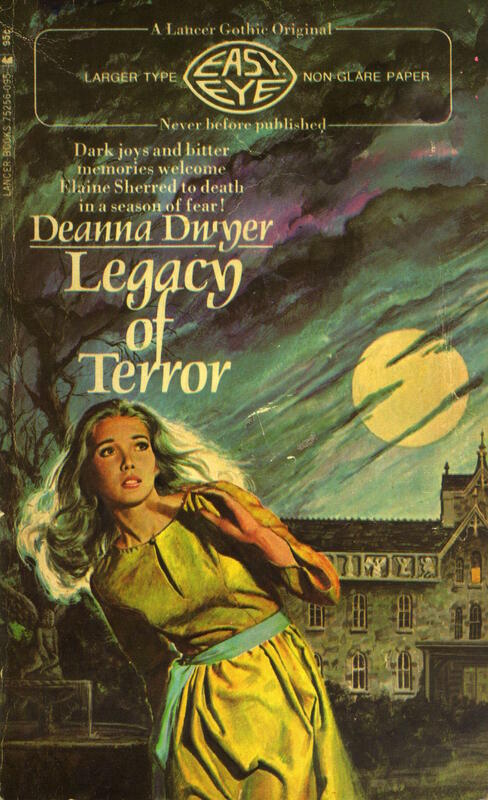 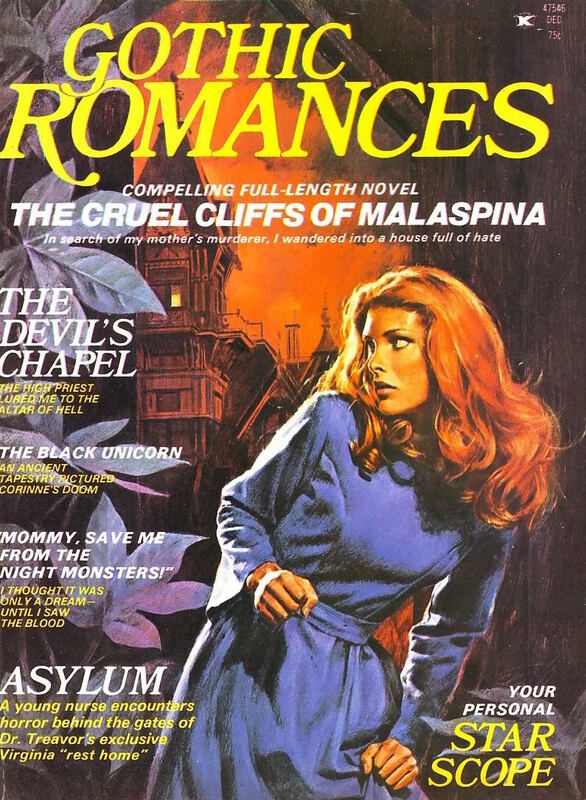 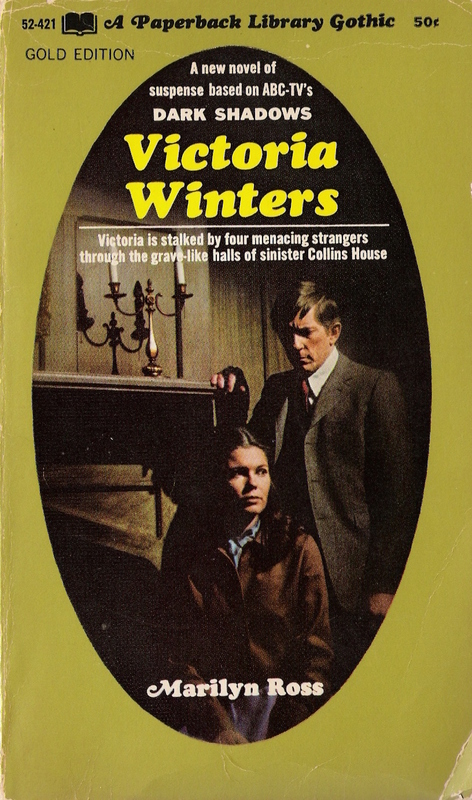 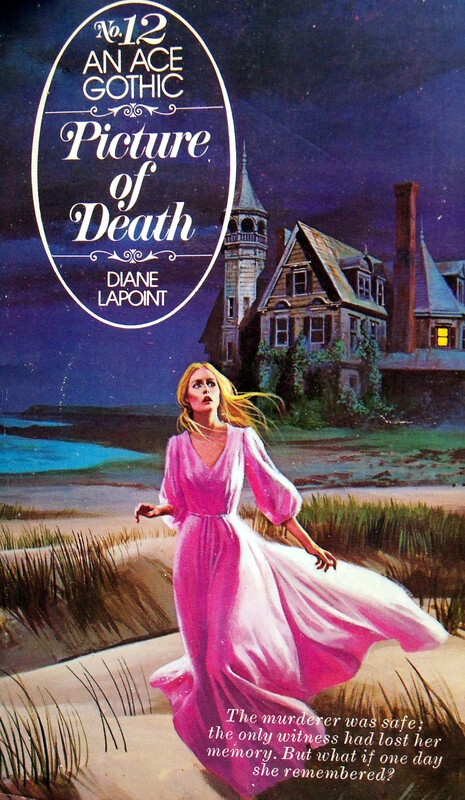 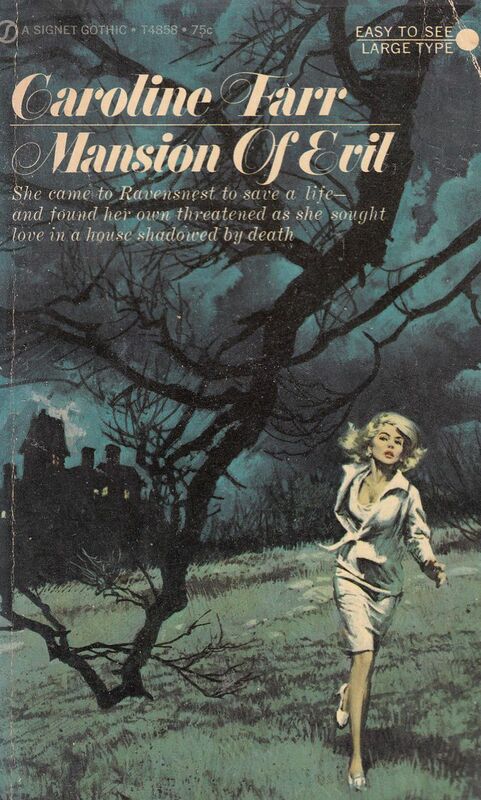 Like Dark Mansion, Sinister House featured young women in romance stories with a malevolent, sometimes supernatural twist. 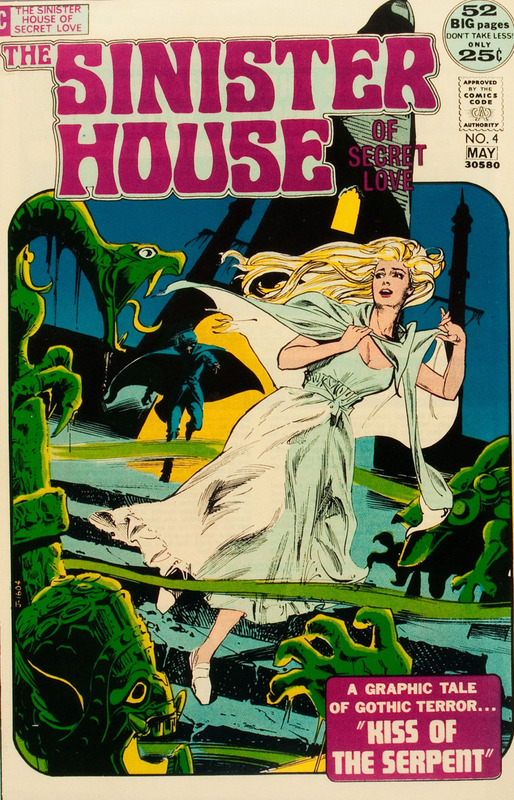 They even both featured artists Tony DeZuniga and Don Heck, but Sinister House also got comics legend Alex Toth for an issue. 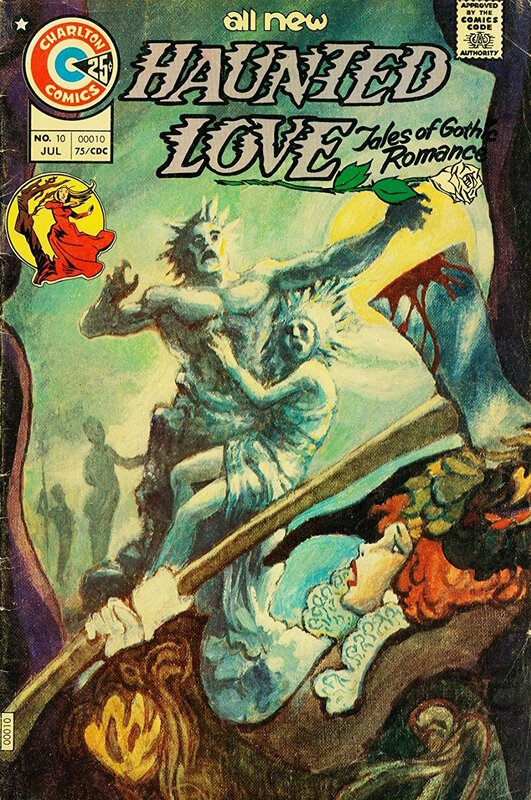 It's that issue, #3, that my buddy Siskoid and his pals covered on an episode of The Lonely Hearts Romance Comics Podcast. 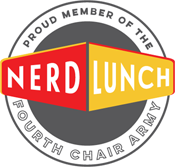 It's an excellent episode of an excellent podcast and you should listen to it. 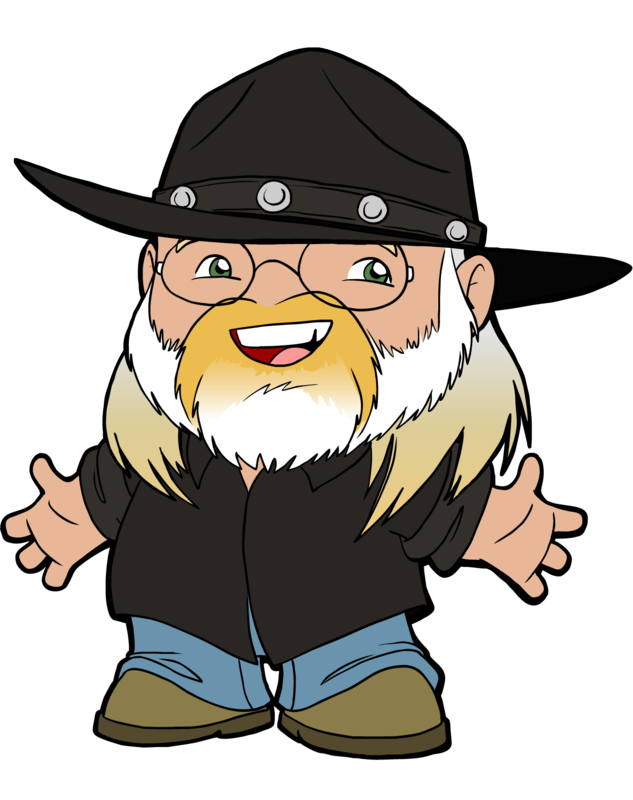 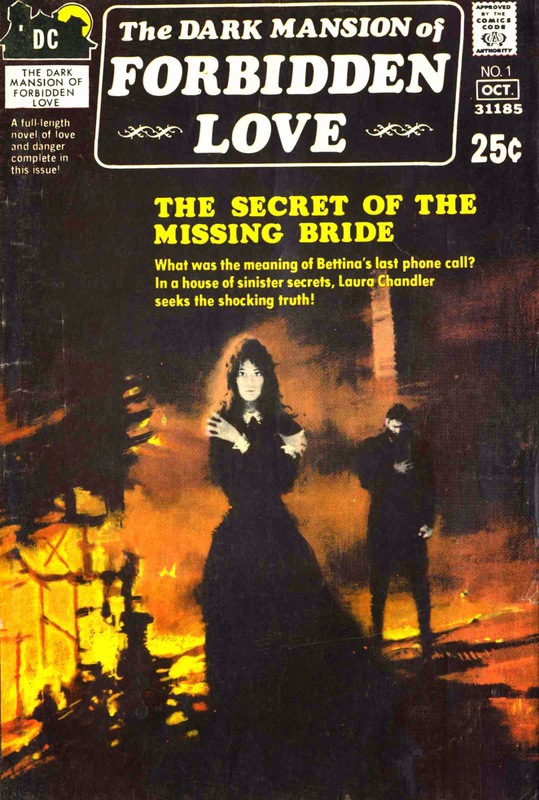 You can also see some of the pages that they discuss on the LHRCP site. 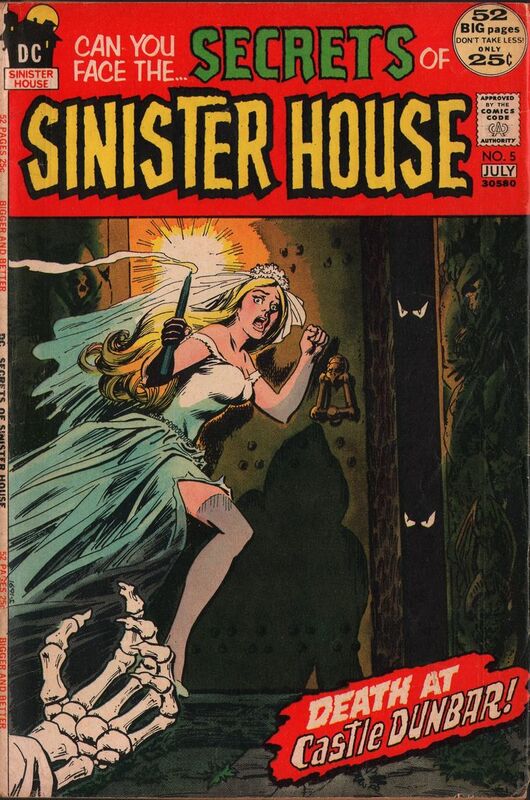 Sadly, also like Dark Mansion, Sinister House was renamed and refocused after only four issues. 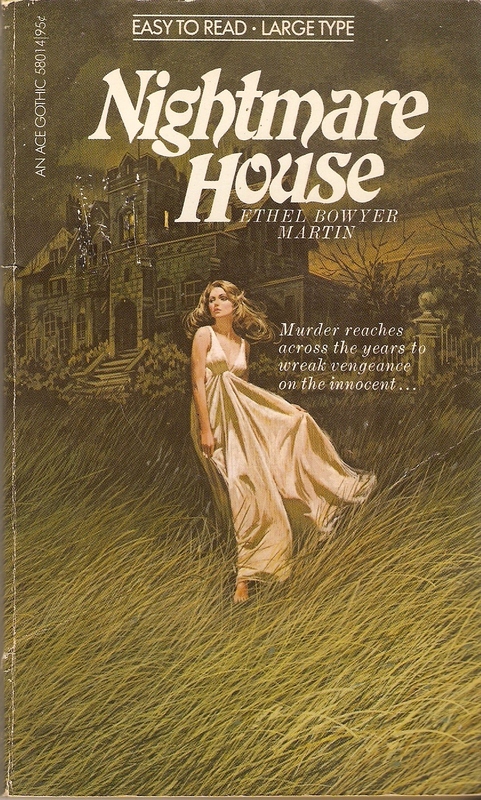 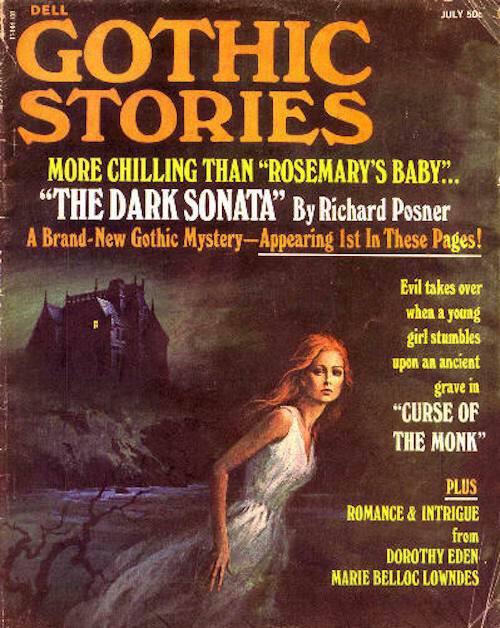 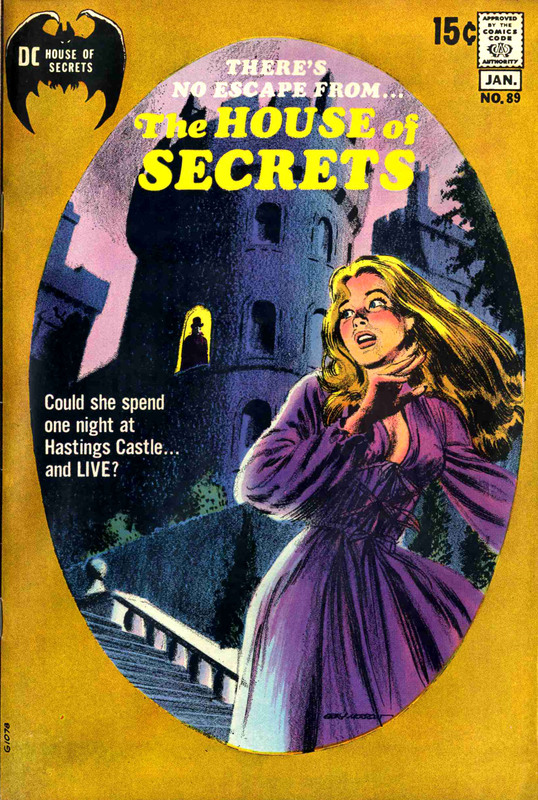 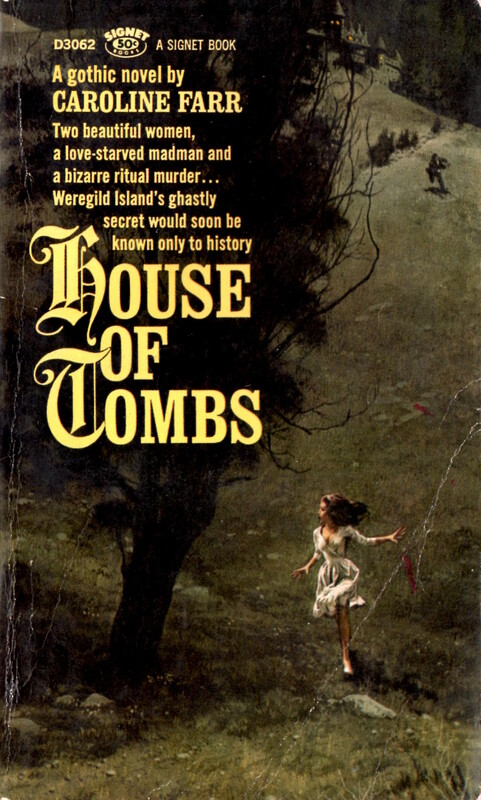 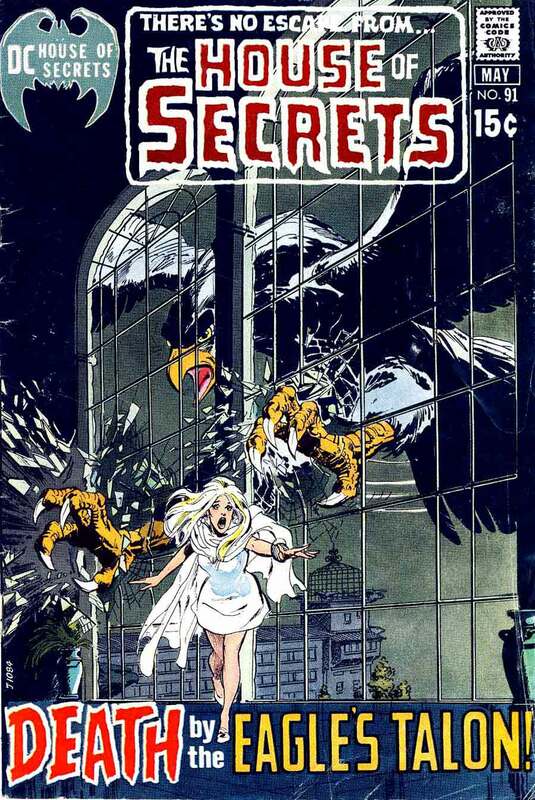 It became Secrets of Sinister House, yet another horror-suspense anthology, though with a gothic-inspired cover for the first issue after the change. 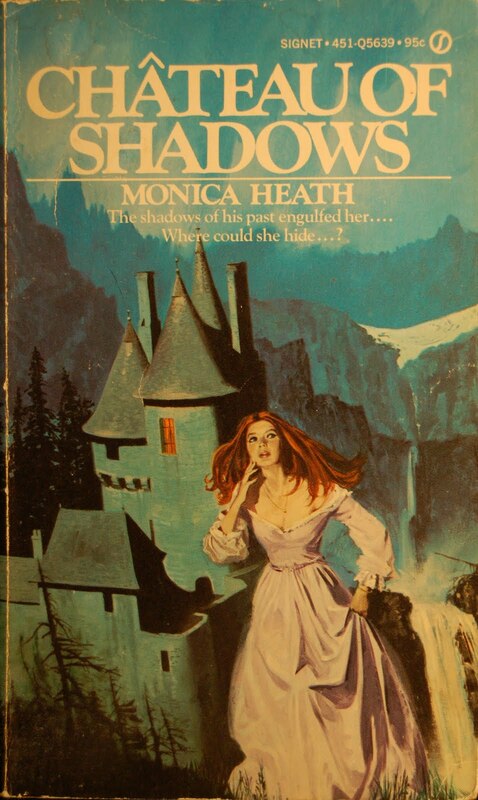 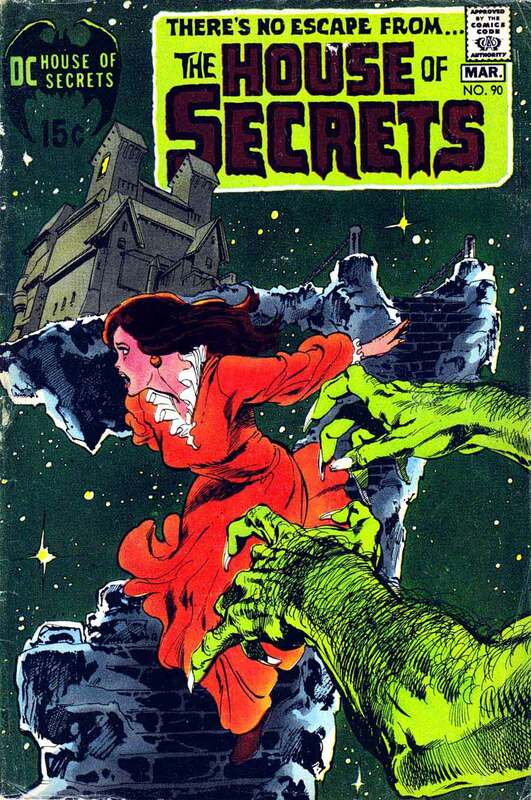 And true to its gothic romance roots, Secrets got a young woman as its horror host: Eve, who was cousin to Cain and Abel from House of Mystery and House of Secrets. 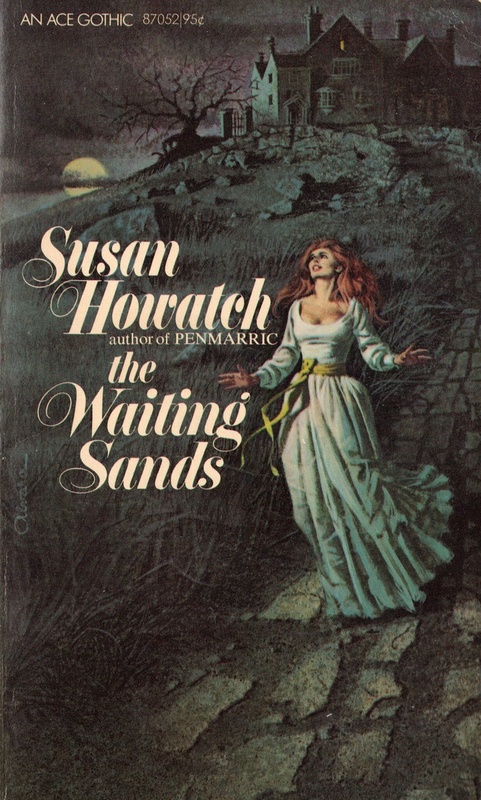 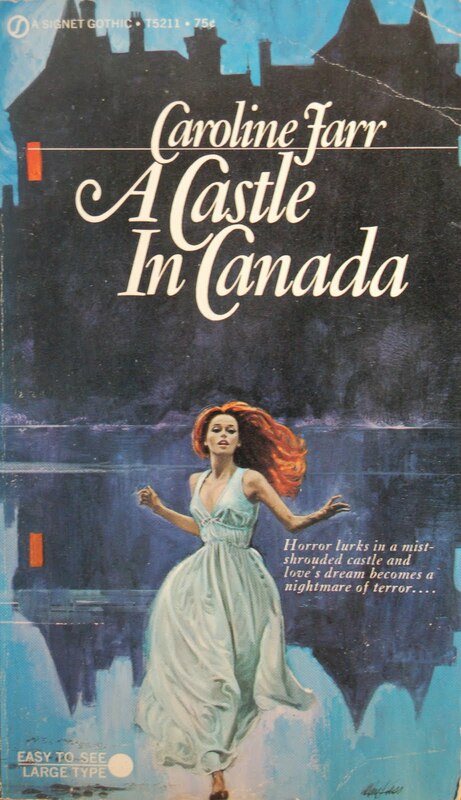 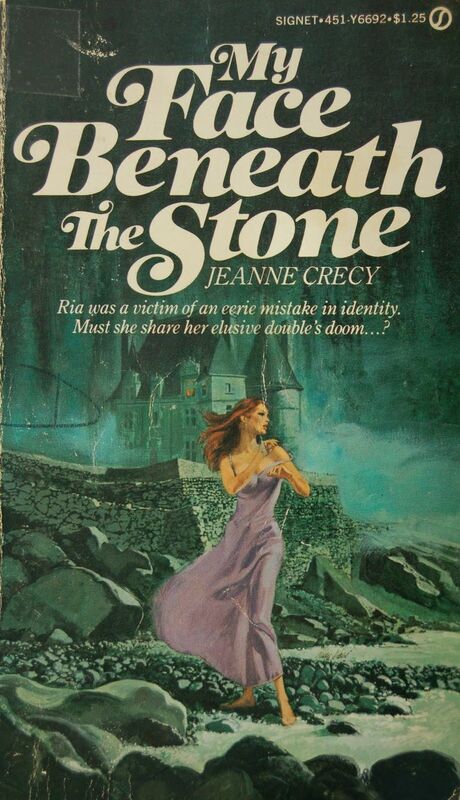 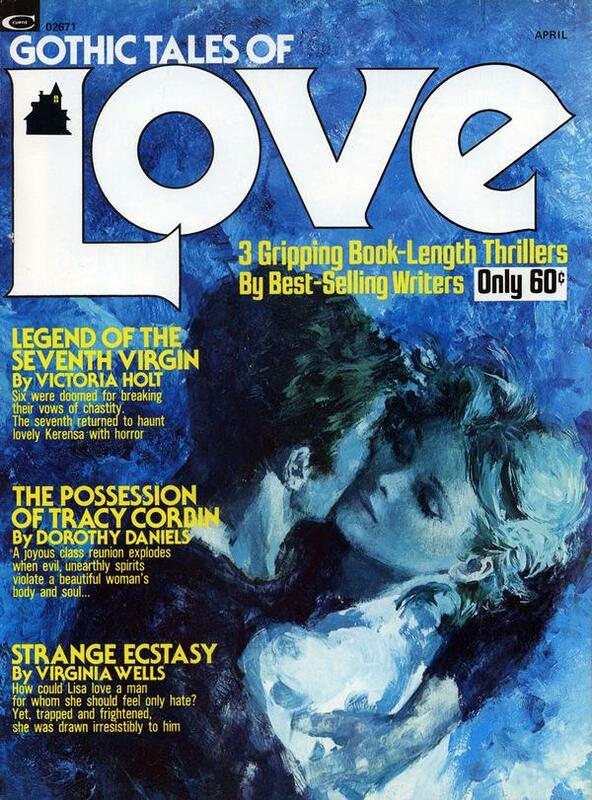 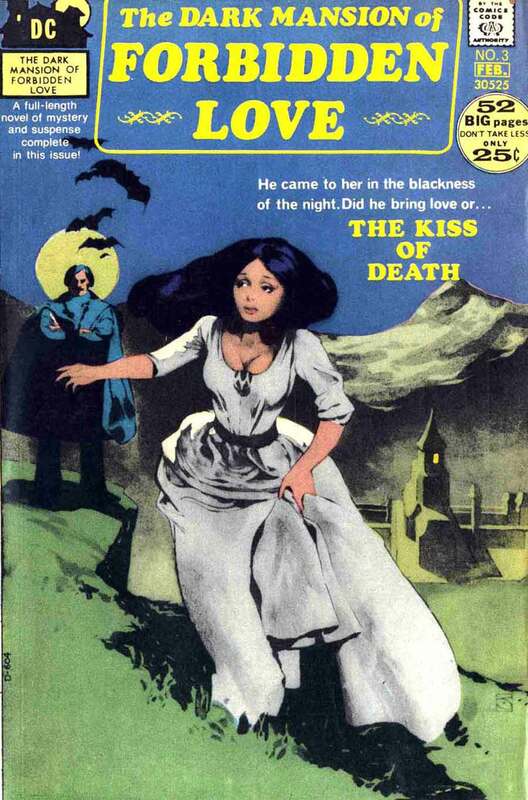 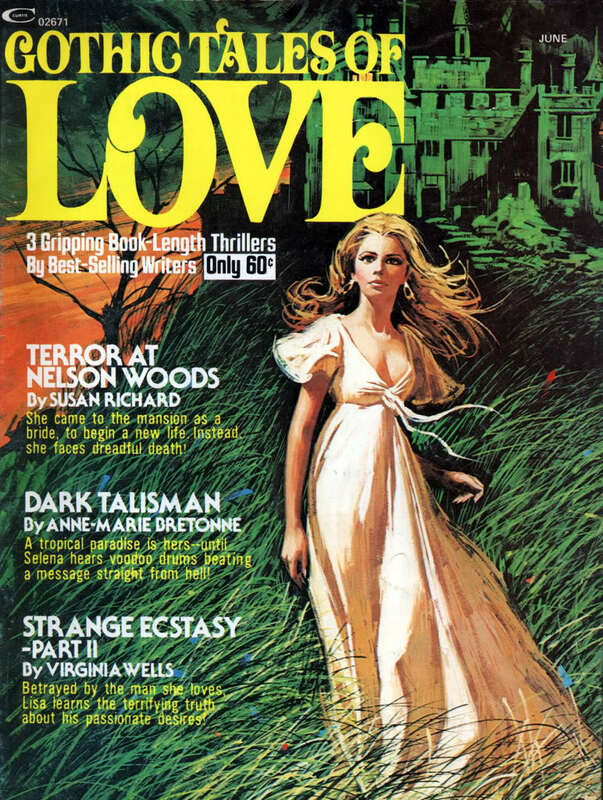 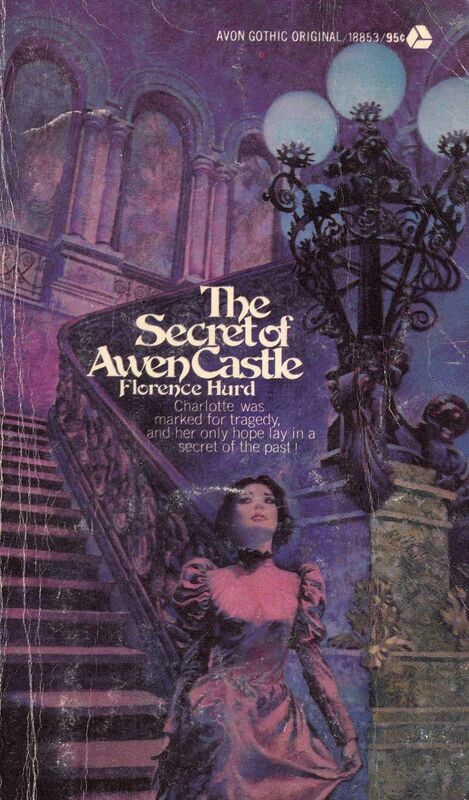 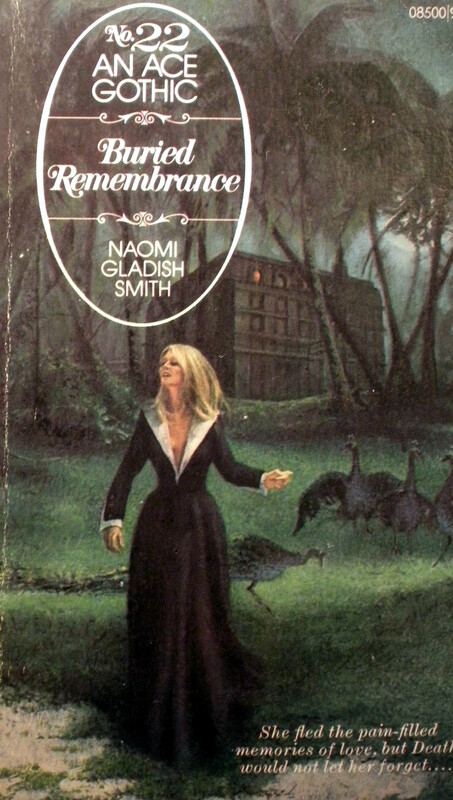 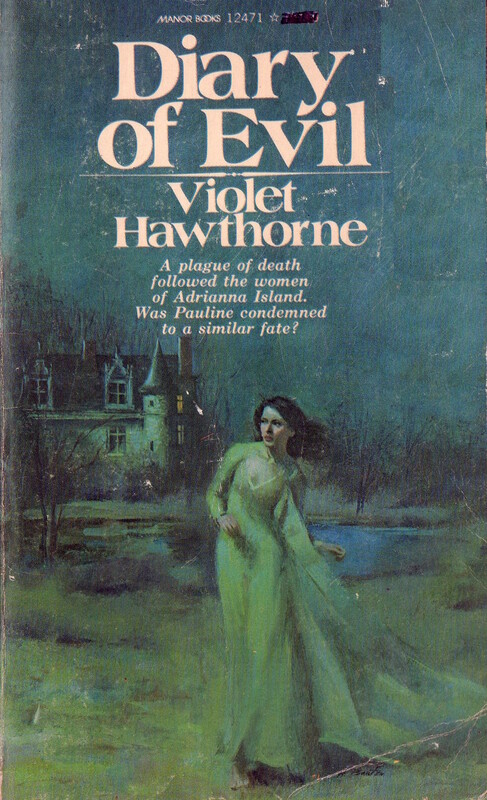 In the Autumn of 1971, DC launched not one, but two gothic romance titles. 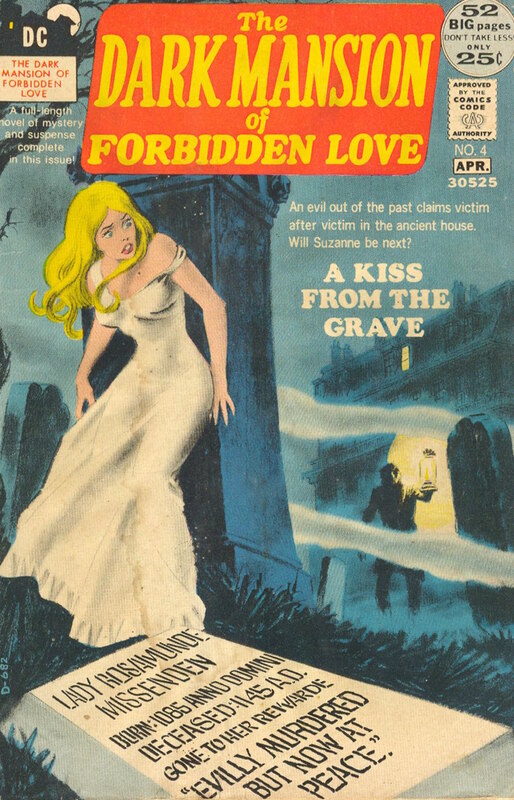 I've read neither of them and can't speak to the differences (if there are any), but the first was The Dark Mansion of Forbidden Love. 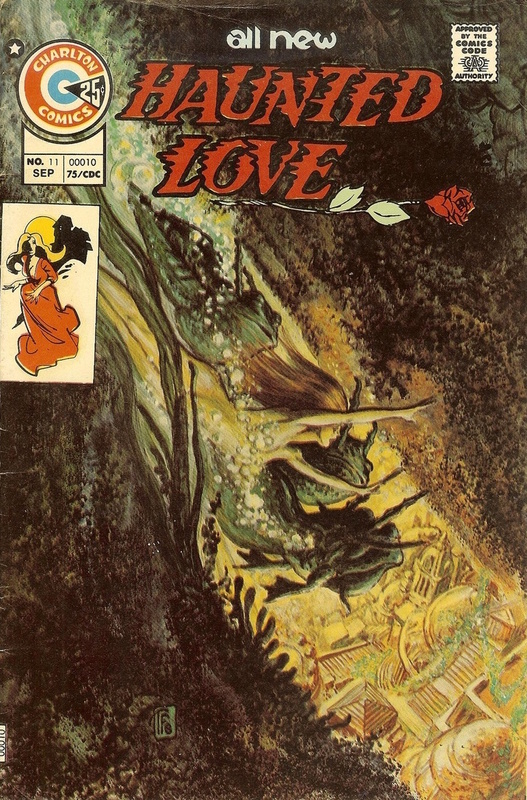 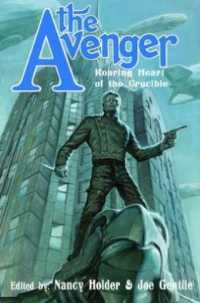 It usually featured full-length stories and a text piece by various writers and artists, but the artists are legendary: Tony DeZuniga, Don Heck, and Ernie Chan. 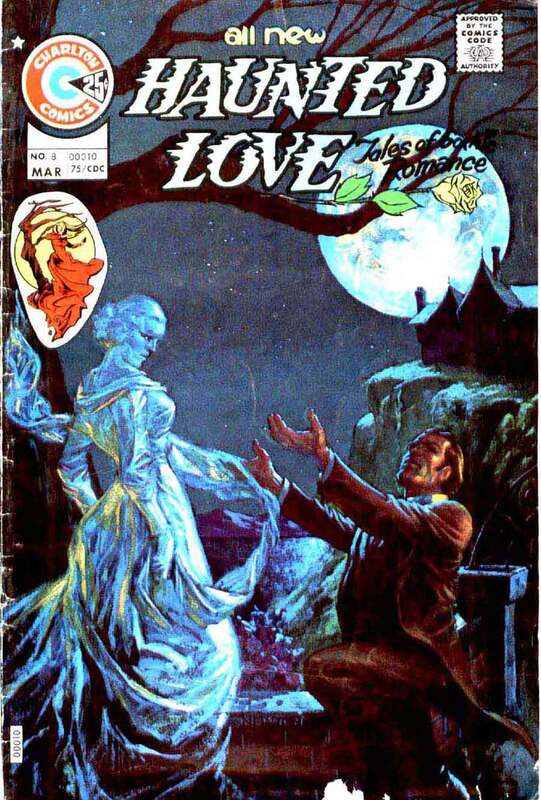 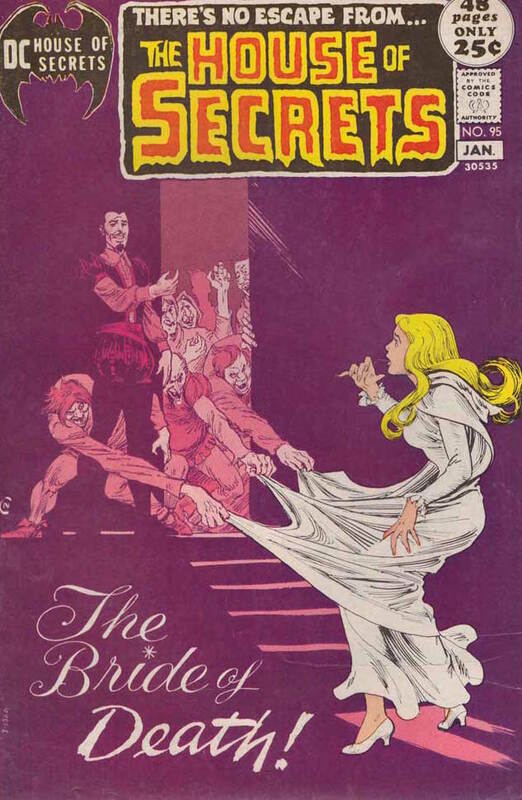 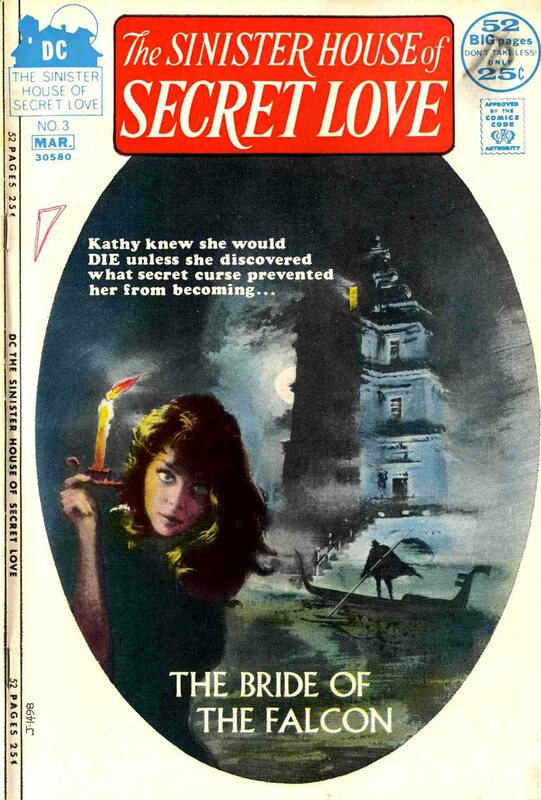 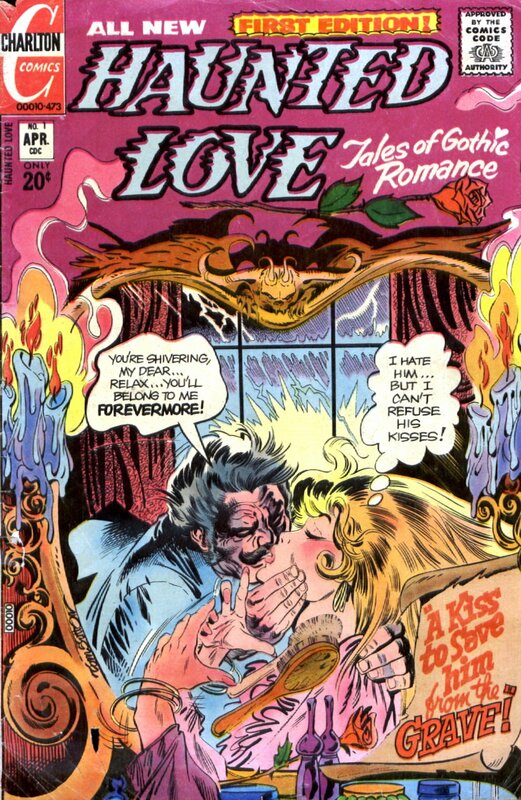 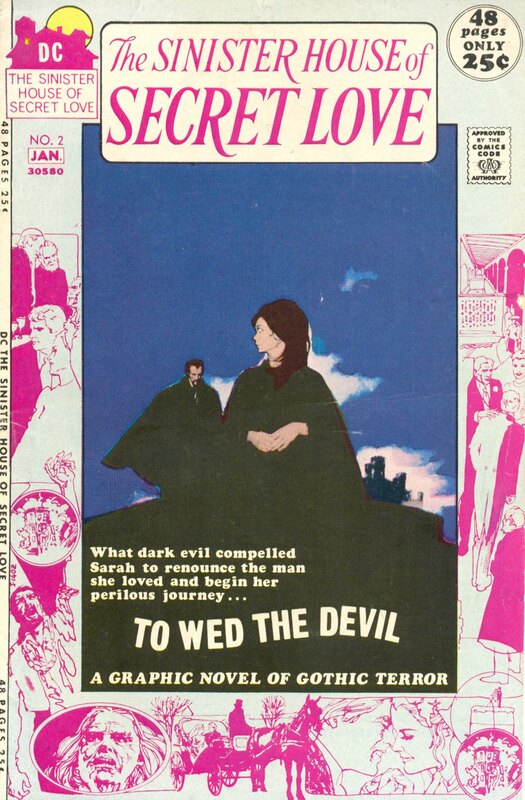 As with the run of gothic covers on House of Secrets, DC's experiment with full gothic romance comics was short-lived. 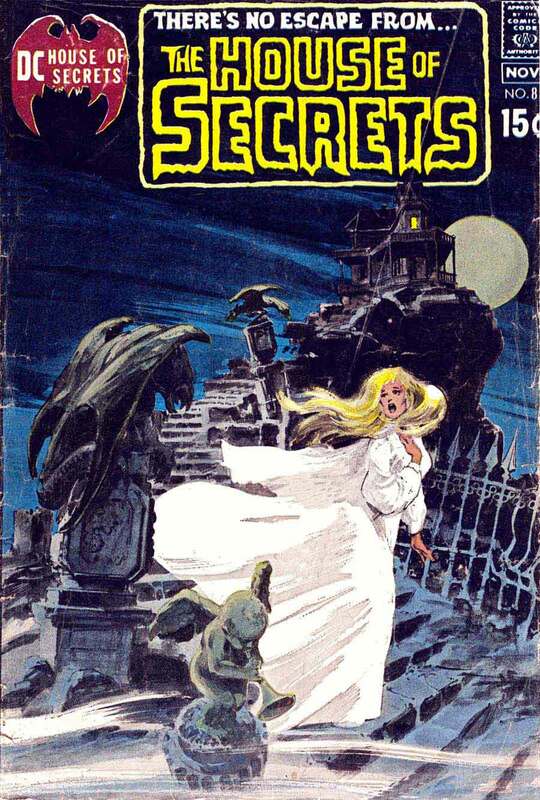 The Dark Mansion of Forbidden Secrets was cancelled after four issues and retooled in early 1972 to become Forbidden Tales of Dark Mansion, a straight horror-suspense anthology. 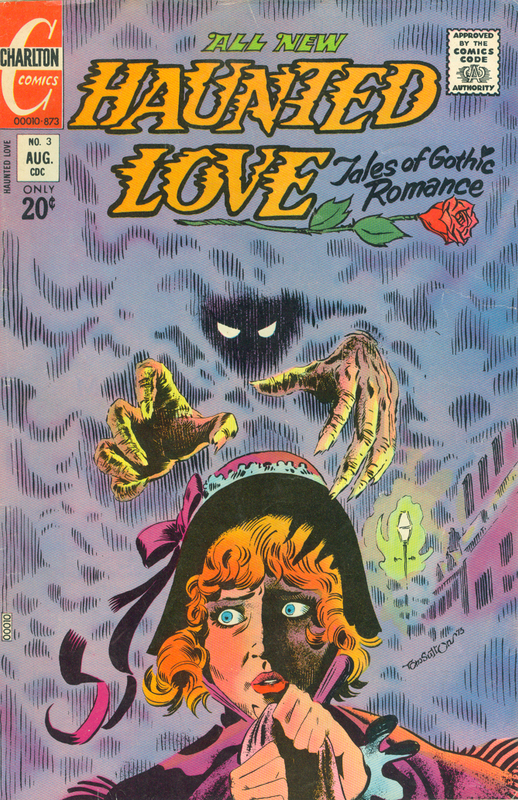 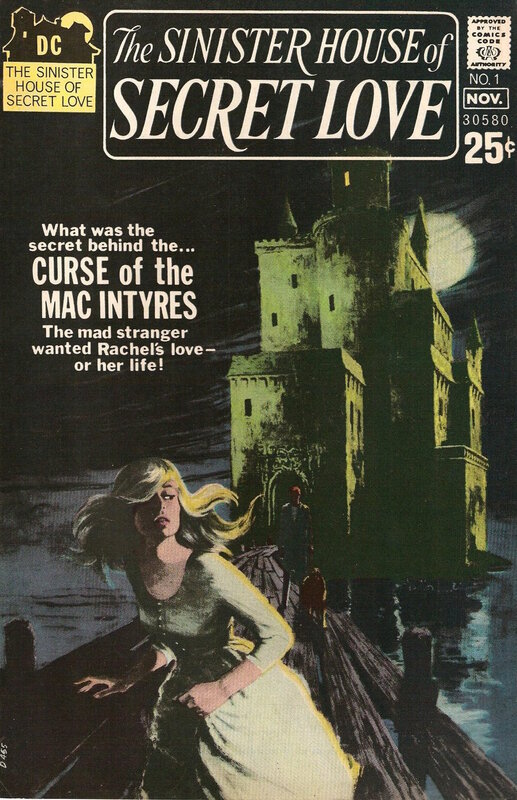 Though the gothic covers did continue for a couple of issues into that series as well. 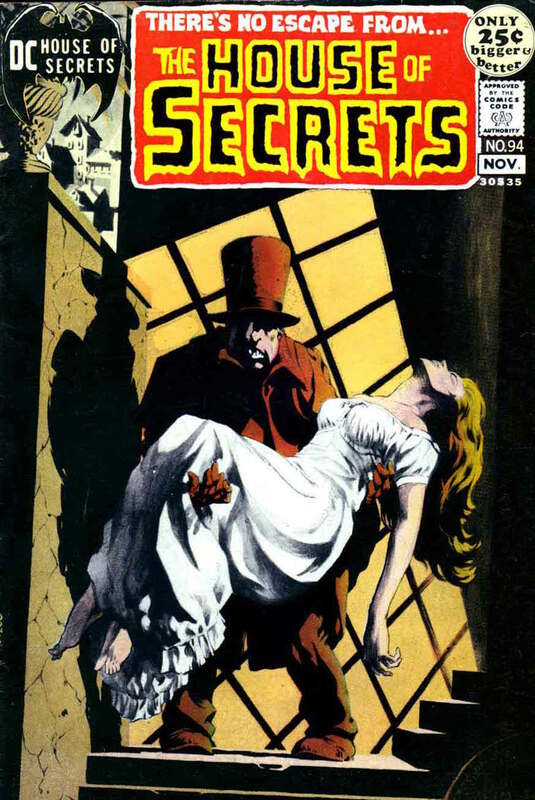 This Autumn, DC has sort of revived the original title with a mini-series starring the character Deadman. 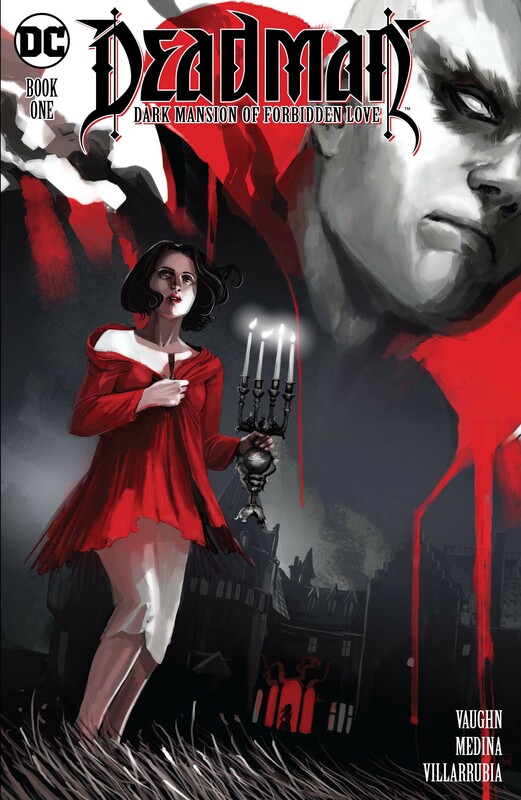 Written by Sarah Vaughn (Alex + Ada) and drawn my Lan Medina (Fables), Deadman: Dark Mansion of Forbidden Love tells the story of a young woman in an old mansion who teams up with Deadman to battle whatever evil is infesting the house.